With sad hearts, we announce the passing of our dear mother, Gladys Legge (Benoit, Ritchie), known to many simply as “Nanny”. Gladys was born on March 19, 1932 in Burgeo, NL. Gladys fell asleep in death peacefully at her residence in Harbourstone Enhanced Care on Friday, February 8, 2019, Sydney, N.S. She leaves behind four daughters, Joyce Power (Gordon), Joan Sinclair (David), Debi Rose and Susan Dewitt (Clif); also, her sister, Minnie MacLean, multiple grandchildren and great-grandchildren. She was predeceased by her first husband, Wilson Ritchie; second husband, Albert Legge; daughters, Linda Dixon and Barbara Wallace; and step sons, Gerald and Harold Legge. Her loving nature and smiling face will be missed by all. 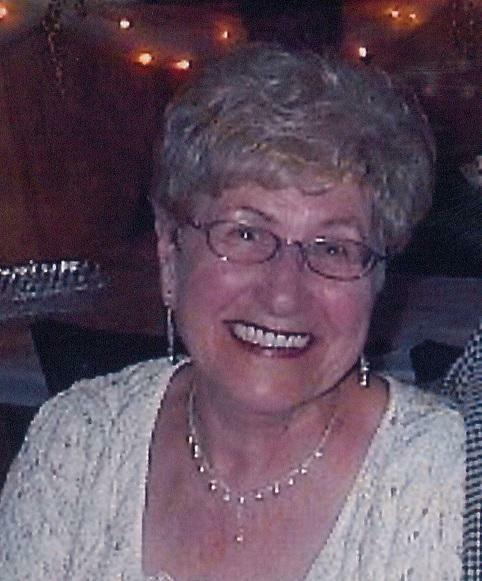 In her health, Gladys was an avid puzzler, enjoyed taking walks and long drives throughout Cape Breton. She also enjoyed listening and singing to Celtic music, being able to play the spoons in Newfoundland fashion. Her greatest joy came later in life when she began volunteering her time to teach others good news of “the real life” ahead when no one says “I am sick”. Thank you to all who assisted us in the past few years by providing care she so needed, especially Dr. Murdock Smith, Dr. Steven Hall, City Homemakers, VON Day Program and the beautiful staff of Soldiers Cove in Harbourstone…you know who you are! Donations in Gladys memory may be made to the Alzheimer's Society of Nova Scotia. A memorial service will be held at the Kingdom Hall of Jehovahs Witnesses, 786 Alexandra St., Sydney, N.S. on Saturday, February 16, 2019 at 2 p.m., Joe Patton officiating. Cremation is being cared for under the direction of Forest Haven Memorial Gardens.